With the highest capacity storage yet from HydraPak, the Expedition 8L container is perfect for car camping or basecamp. 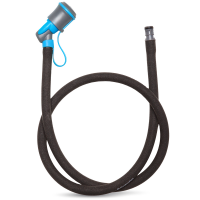 It has a packable, freestanding design and a wide-mouth cap for easy pouring. You can use the HydraPak HydraSleeve 3L Seeker as a water storage bag or as a hydration reservoir. 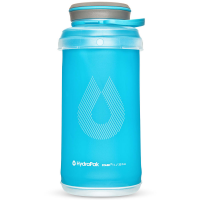 It's insulated to keep your water flowing cold, and built tough to withstand getting tossed around. 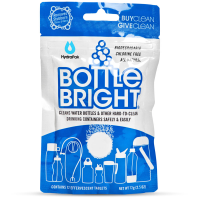 Combined with the HydraPak Seeker water container, the HydraPak Plug-N-Play Cap kit helps you fill up bottles, brush your teeth, clean dishes or even take a quick rinse using the shower nozzle. 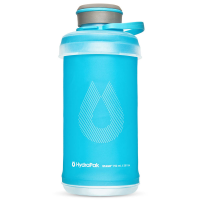 HydraPak Seeker 2L Collapsible Water Container - 67.6 fl. oz. 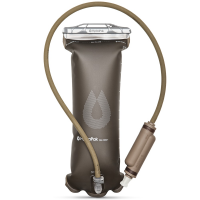 The HydraPak Seeker 2L is an ultralight, durable water storage system for camping, backpacking, you name it. It collapses down to the size of a fist, and attaches to your pack or hangs from a tree.